Auckland’s waterfront has undergone a massive makeover in the last decade and now is a perfect time for you to explore! The waterfront is divided into four main parts: Queen’s Wharf, North Wharf, the Viaduct, and Wynyard Quarter… and then there’s Britomart. Here are some tips on how to make the most of your visit to the beautiful City of Sails! Today’s North Wharf is an amazing transformation of an old bunch of cargo sheds from the 1930s, spruced up and renovated into some of the most eye-catching and trendy bars and restaurants in the city. There’s a cozy selection of cuisine; whether you fancy fish, grilled meat or ice cream you will find it right here! The buzzing sheds are a stone’s throw away from the water and it’s a perfect place for people and boat watching as you laugh away the night with friends. After dinner might be the perfect time for a walk around each of the harbours and an ogle at the superyachts. Auckland is known to be the City of Sails, and its impressive array of boats and ships won’t disappoint. Let the dreams run wild as you wander around the completely pedestrianised areas with the Sky Tower as a backdrop. Walk over the Wynyard Crossing, an openable bridge connecting North Wharf to the Viaduct. Here you will find a small container with shelves of books inside, cozy chairs and places to sit and read. Take one outside, sit on a beanbag and bury your toes in the astroturf as you soak up the atmosphere of the waterfront in daylight hours. If the boat traffic is flowing, you are likely to see the bridge go up and down a few times for a yacht to pass through! On the edge of Wynyard Quarter is Auckland’s fish market, and here the day begins at 6am with a wholesale auction. The energy carries on in the morning, through the day, and into the evening as the market’s restaurants open their doors and the fresh fish has been cleared out by happy customers. It becomes a hubbub of night-time activity and you will find some of the best fish here, paired with wines that will blow your taste buds. If you’re into seafood, this is an absolute must to check out. Just up from North Wharf is Silo Park: a cluster of seven silos that used to hold cement, right next to the now defunct railway line. 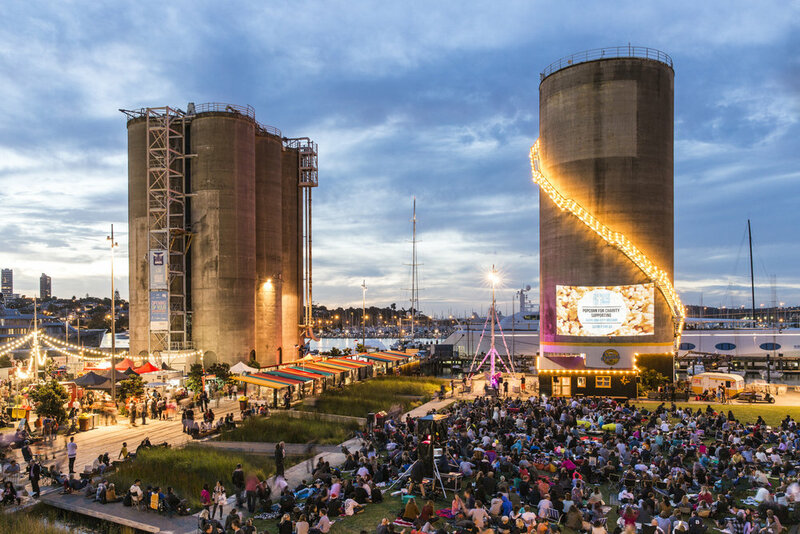 The space has been developed into a social paradise with food trucks littering the lawn every Saturday morning in the summer and a weekly movie projected onto Silo 7 on Friday nights at 9pm. Music festivals are hosted here too, and Silo 6 is an art and exhibition space. If you’re a lover of ice cream, there’s a lot of great places for a fine scoop or two of gelato! A little bit back from the waterfront is Giapo, an Italian masterpiece that creates unique, New Zealand style flavours of ice cream. After the earthquake in 2011 they created a ‘Christchurch Crumble’ – a decadent mix of apple crumble and ice cream – and this place is sought out by celebrities visiting Auckland. Alternatively, Milse in Britomart offers amazing macarons and other delicate desserts that will make you want to take a hundred photos. ﻿DR RUDI’S ROOFTOP BREWING CO.
Down at the Viaduct sits Dr Rudi’s – a brewery and restaurant all in one, with an unbeatable view out over some of the yachts that offer single day or multi-day cruises. The pizza here is divine, the beer brewed onsite is original and lick-smacking-ly good and the social atmosphere is buzzing. In one corner there’s a bowling alley, so you can line up and try your hand at knocking down the pins, drink in hand, for no extra cost. Gather your mates here or come alone to start a great night out. Britomart’s new section sits just behind the waterfront and is well worth checking out. The stylish designer stores and twinkling restaurants will have you witnessing ladies who lunch, business meetings, and fine dining families alike. Here you can find Karen Walker, Trelise Cooper Pavilions, Bobbi Brown, Kikki K, and Lululemon Athletica, together with some outdoor art and a creative space. 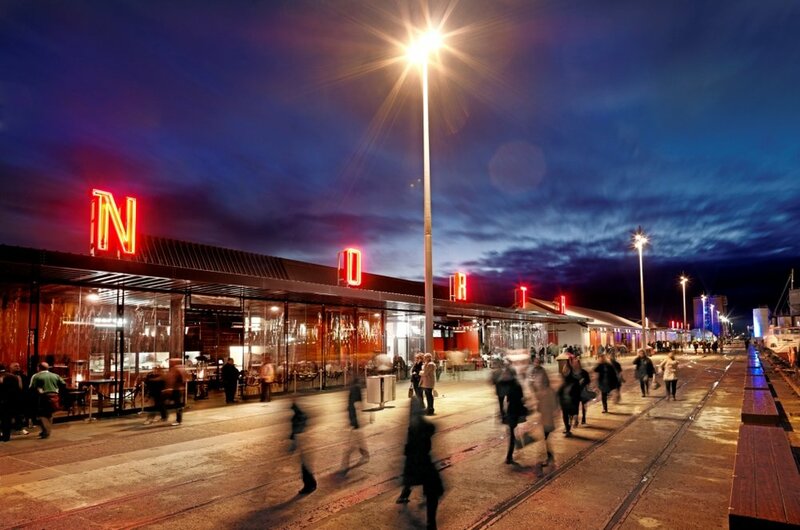 Built to harbour and attract inner-city fans of the 2011 Rugby World Cup, the Cloud has remained iconic on the waterfront and has become a popular event centre for the city. The architectural design reflects Aotearoa, the Land of the Long White Cloud, and is right next to Shed 10 – the only original building on Queen’s Wharf. The shed was built in 1910 and thoughtfully renovated in 2012, with solar panels lining the roof. It’s also used for events in the city and puts Queen’s Wharf on the map when thousands of visitors come to town. If you’re up for a bit of exercise after all that eating and drinking, why not check out Adidas Run Club Auckland? 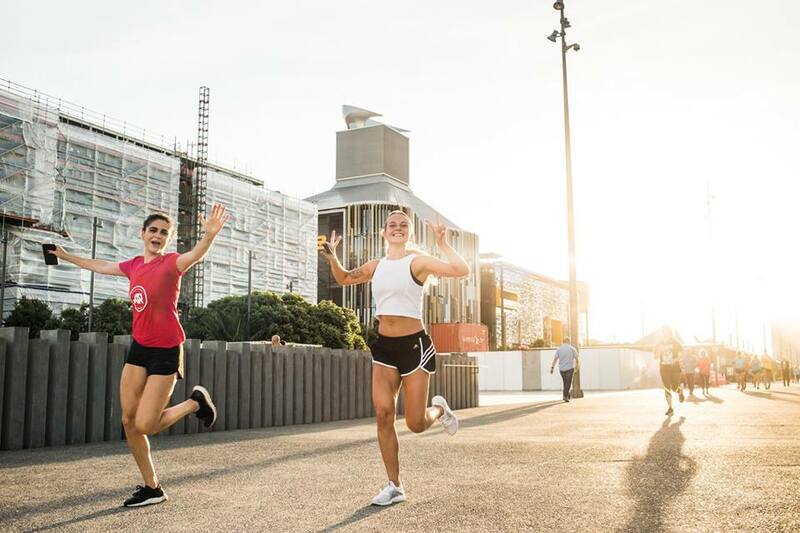 Every Tuesday at 6pm, keen athletes, runners, and weekly joggers from all over the city meet for an organised lap of the streets following their favourite pace makers. It’s a chance to run safely in the city with people at the same level as you – with sports drinks, water and bananas to greet you at the end. If you manage to keep active on your trip you’ll feel refreshed, energised, and ready for more exploring!